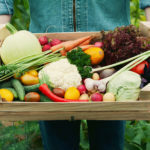 Switzerland continues to shift towards organic farming. Between 2000 and 2017, the percentage of farm land dedicated to organic produce nearly doubled from 7.7% to 14.5%. After four years of decline from 2007 to 2010, Swiss organic farming took off again and has grown every year since, rising 6.6% in 2017. 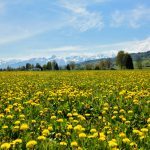 In 2017, the Swiss cantons showing the greatest enthusiasm for organic farming were Graubunden (63.6% organic), Obwalden (32.9%), Glarus (28.1%), Basel-City (27.4%) and Appenzell Ausserrhoden (20.9%). Those showing the least were Vaud (7.9%), Neuchâtel (7.7%), Fribourg (6.7%), Appenzell Innerrhoden (6.1%) and Schaffhausen (6.0%). In 2010, the cantons of Vaud (3.1%) and Geneva (3.4%) had the lowest percentages of organic farming. Partly for this reason they have risen the most, reaching 7.9% (Vaud +155%) and 9.5% (Geneva +179%) in 2017. In 2017, the cantons with the greatest organic farm area were Graubunden and Bern, together making up nearly 40% of the total – Graubunden and Bern are Switzerland’s largest and second largest cantons. In addition, Swiss farms now employ fewer people. In 2000, 203,800 people farmed 1,072,500 hectares. By 2017, 153,900 farmers were taking care of 1,046,100 hectares. On average, a farm worker in 2017 was working 29% more land than in 2000.